This preserved WW2 SU-100Y Soviet Red Army self-propelled 130mm assault gun can be found at the Kubinka Tank Museum in Russia. Only one prototype was built. 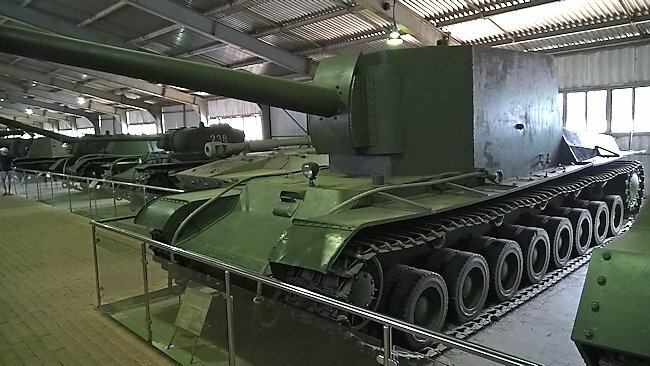 Only one prototype SU-100Y SPG was built. It was powered by a GAM-34BT diesel engine that produced 850 hp. It had a top road speed of 32 km/h (20 mph) and an operational range of about 210 km (130 miles). It weighed 60 tonnes and required a crew of six: Commander, Driver, 2x gunners and 2x loaders. It was armed with a 130 mm Naval gun that was normally fitted to Soviet Union destroyers or coastal battery gun emplacements. It had a maximum range of 25,597m (25.5 km or 16 miles) but was intended to fire its large high explosive HE shells at fortified targets that were in direct line of sight. For self defence the crew were issued with three DT 7.62mm machine guns with 1800 rounds per gun. The Soviet SU-100Y was fitted with a 130mm/50 Naval B-13 pattern 1936 gun and three 7.62 mm Degtyaryova Tankovy DT machine guns. Its maximum armour thickness was 65mm. 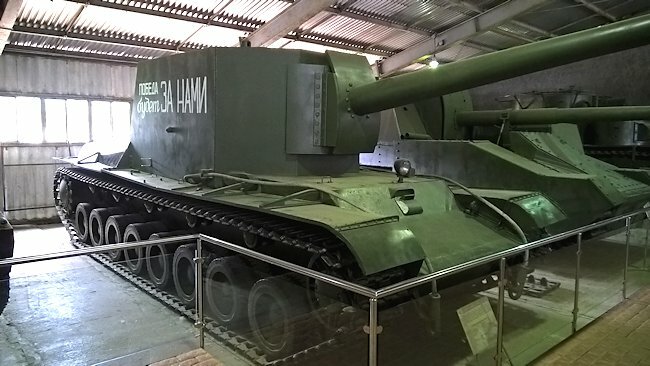 The high command of the Soviet Union realised in the late 1930s that it needed a large caliber self-propelled gun that was capable of getting close to fortified positions and destroying them with large high explosives shells whilst under fire from the enemy. A couple of different designs were developed and this competition would eventually be won by the KV-2. Unfortunately for the Soviet Red Army the SU-100Y and the KV-2 were not ready in time to be deployed in the Winter War against Finland which started 30th November 1939 and ended with the Moscow Peace treaty on 13th March 1940. Despite having superior numbers in men and equipment they suffered numerous military defeats. To cope with the weight of the SU-100Y it had eight double bogie road wheels and a wide track. The Soviet War Council of the North-Western Front commissioned the S.M. Kirov Factory No. 185 in Leningrad to design and construct a heavy powerful tank chassis that could be used as a gun platform and as a engineering vehicle. It was designated the T-100. The tank version was a two turreted design that mounted a 75mm main gun and a secondary 45mm gun. Most enemy tanks at this time were fitted with 37-40mm guns. The protective armour was built to withstand 45mm shells. It was found that the single turreted KV-1 tank design was more effective than the T-100 so future orders were stopped. 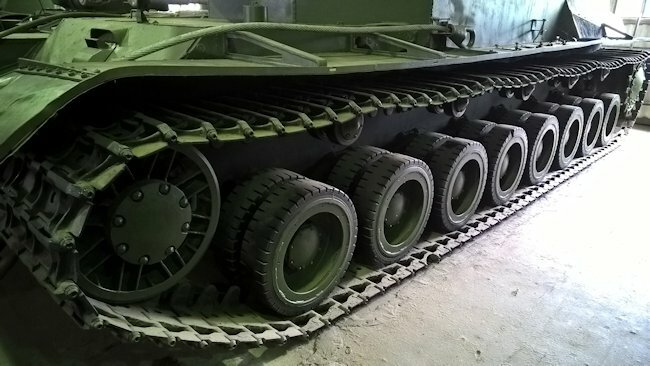 The T-100 tank chassis that had been built were ordered by D.Pavlov the head of the Red Armies ABTU: Avto Brone Tankovoe Upravlenie - the Truck-Armour-Tank Directorate, to be fitted with the large 152mm howitzer. 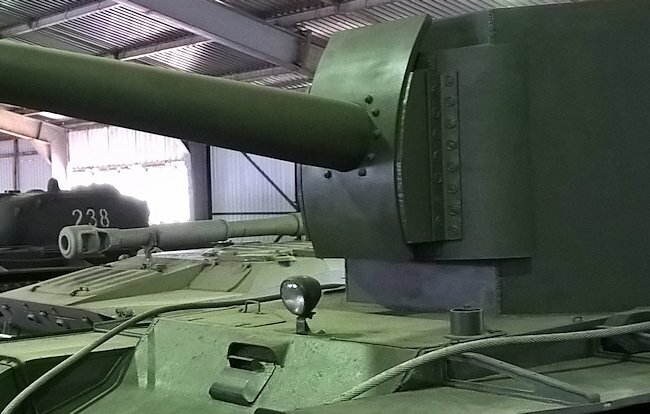 The Plant director at factory 185: N. Barykov requested the War Council of the North-Western Front to change the preliminary designs request to fit a 100mm or 130 mm/50 B13 Pattern 1936 navel gun in a large box style casemate. 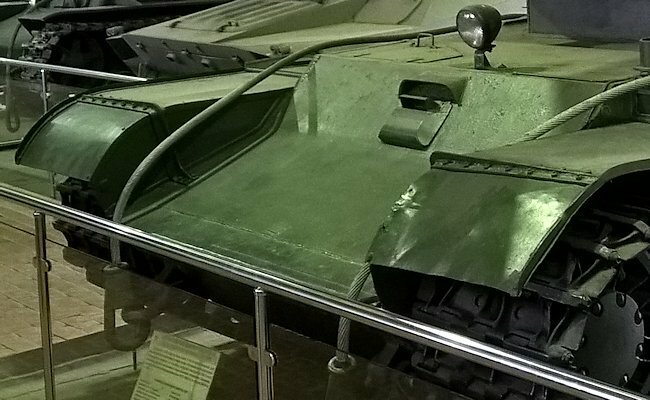 The driver position on Soviet SU-100Y prototype was in the middle of the vehicle. He had very limited vision. No hull machine gun was fitted. The first prototype, named T-100-X was fitted with a 152mm howitzer. In tests it was found to be inferior to the KV-2 so never entered production. In April 1940 a second T-100 assault gun prototype design was submitted for approval, but this time fitted with the powerful 130mm/50 Naval B-13 pattern 1936 gun in a rotating turret. It was designated Object 103. It never past the blueprint stage. The third prototype design based on the T-100 tank chassis was built and sent to the Kubinka tank proving grounds in mid 1940. It was armed with a 130mm/50 Naval B-13 pattern 1936 gun in a fully enclosed armoured casement that did not rotate. It was a assault gun designed to blow up enemy fortifications. It was given the name SU-100Y but was also known as the T-100-Y. A large armored casement was fitted around the gun to protect the crew. It had a very large profile so made it easy for the enemy to see and target. There are no confirmed reports that it was used in the defense of the Soviet Union and Moscow when the German Army invaded in 1941 but most reports suggest it was deployed in defence of the capital. The SU-100Y had good slopping armour at the front of the tank chassis. The gun casement consisted of large flat slab sides. The armour at the front was 60 mm thick and at 45 degrees to increase the depth of armour an incoming frontal shell would have to penetrate and help with deflection. The side armour was 45mm thick and only 30 mm thick at the rear. This was a very heavy armoured assault gun and was fitted with one of the most powerful engines available at the time. It produced 890hp: 200hp more than the KV-1 and KV-2 tanks. It had a top road speed of 32 kph which was still faster than the British Churchill tank. The tank engine was variant of the GM-34 naval motor derived from the well tested Mikulin AM-34 aviation plant. It was called the twelve cylinder liquid cooled GAM-34-BS diesel engine. The cooling system had been modified to carry an extra horizontal external fan couple with a ST70 electric starter replacing the original pneumatic one and a separate 15hp motor to help turn over the main unit. A good gun crew could fire four rounds a minute. The reason this rate was so slow was the shells were large and heavy and they came in two parts. They weighed 32 lbs. The gun crew first had to load the high explosive HE shell and then select the correct size of charge to fit in the propulsion cartridge for the selected target range. This was then inserted into the gun barrel breach and rammed home. The muzzle velocity ranged between 820 mps to 870 mps depending on the round that was fired. Around 30 rounds could be carried on the vehicle.